Spanish literature had now assumed a new character. Classical poets wrote in the Castilian language; and ele­gant prose was cultivated with equal facility and success on the model of the ancients. No great advantage could henceforth be derived from the imitation of the Italian poets, for the genius of the Spanish nation had well nigh decided how far and under what limitations Italian poetry could be naturalized in Spain. But laurels were yet to be gathered on the new Parnassus; and the conflict between the ancient and modern styles, had through the disputes of the different parties, who sought to rule the Spanish drama, at length arrived at a crisis. Under these circumstances, Cervantes and Lope de Vega entered upon the career, which their predecessors had opened for them. The life of this extraordinary man, whom for the space of two centuries civilized Europe has admired above every other Spanish writer, has been so frequently related, that a brief abstract of his biography, derived from the most authentic sources, will be sufficient for the purpose of this history. It is a singular fact, that the contemporaries of this celebrated man, whom every town, not merely in Spain, but throughout the world, would be proud to have pro­duced, should have neglected to record his native place. After long investigations and warm disputes, which, call to mind the contests of the seven Greek towns for the honour of having given birth to Homer, it is at length agreed that, according to the most probable supposition, Miguel de Cervantes Saavedra was born at Alcala de Henáres in the year 1547. His parents, who were not rich, were merely enabled to give him a moderate, but at the same time a literary education. They sent him to the school of Madrid, where he acquired some knowledge of classical learning. At Madrid, he had an opportunity of witnessing the dramas, which the ingenious Lope de Rueda represented on his rudely constructed stage. Juan Lopez, the tutor of Cer­vantes was an indefatigable writer of poetry, particularly of romances, and he sought every means of cherishing his pupil's taste for poetic composition. Some verses by Cervantes were introduced in a description of the funeral of a Spanish princess, which Lopez published in 1569. But young Cervantes, who had now attained his twenty-second year, seems to have had no certain means of gain­ing subsistence. He wrote numerous romances and sonnets; and it was probably about this period that he composed a pastoral romance, entitled Filena, which, if we may give credit to his own testimony, was very generally read. It appears that he thought he could better his con­dition by travelling; and he resolved to proceed to Italy. Here commences the period of his adventures. In Rome, cardinal Acquaviva for a short time became his patron and protector. But, impelled either by necessity or choice, he entered into the military profession. He enlisted under the banners of his sovereign, to serve in the wars against the Turks and the African corsairs, who at that time disturbed the tranquillity of Spain and Italy. 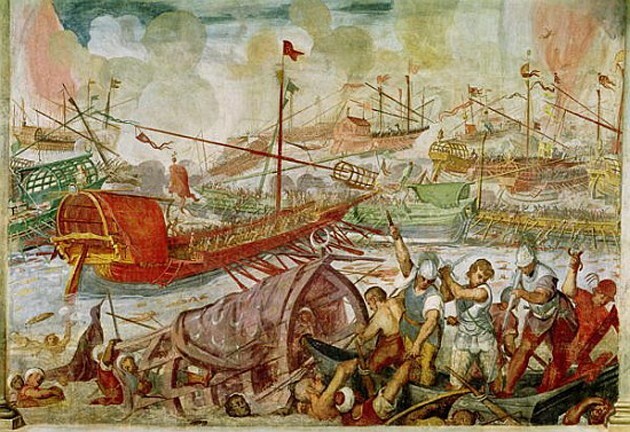 During the war he proved himself to be wholly devoted to his new profession; and being engaged in the great battle of Lepanto, in 1572, he received a wound, which deprived him of his left hand together with a part of the arm. This honourable mutilation, to which he proudly alludes in his latter writings, obliged him to return to Spain. The ship, however, in which he had embarked was captured by an Algerine corsair and Cervantes was conveyed to Algiers and sold for a slave. His captivity, which lasted for nearly eight years, must have been of the most romantic description, if the fact be, as has frequently been conjectured, that Cer­vantes described his own adventures in the novel of the Captive. He was at length ransomed, and in the year 1581 he returned to his native country. The third period of the life of Cervantes was exclusively devoted to literature. He had now attained his thirty-second year, and with a matured understanding, joined to considerable practical knowledge of the world, and an ardent passion for literature, he resolved to with­draw from the busy scene of life. In his retirement he wrote his second pastoral romance, entitled Galatea, which has so eclipsed Filena, that the latter is quite neglected and forgotten. He shortly afterwards married, and it would appear that he lived for some time on his wife's dowry. At length he began to write for the stage; but the dramas, which he composed at this period of his life, though amounting to about thirty in number, are nearly all lost. About this time arose the rivalry between Cervantes and Lope de Vega, whose dramas were so much admired that they bore away the palm of public favour. Mortified, as it would appear, by the ill success of his dramatic efforts, Cervantes laid aside his pen for a considerable period. It is conjectured, that in the meanwhile he obtained a post in Seville, the emoluments of which enabled to subsist. He did not again appear in the literary world until the death of Philip II in the year 1598. It can scarcely be doubted, though no Spanish writer has advanced the conjecture, that the death of Philip II had a favourable influence on the genius of Cervantes. After the accession of the indolent Philip III, every man in Spain felt that he might then have more freedom than he had dared to take during the gloomy intolerance of the preceding reign. The Spaniards now ventured to sport with the chains, which they had not the power to break, and delicate satire was soon freely employed. Cervantes quickly found a subject to ridicule, in a furious contest, which arose in Seville between the spiritual and municipal authorities, concerning the funeral obsequies of the de­ceased monarch. There is reason to believe that he com­posed, about the same period, some of the instructive novels (Novelas Exemplares), which he subsequently published. What accident gave rise to the idea of his Don Quixote is unknown; for his having, while travelling through the province of La Mancha, become engaged in disputes with some of the inhabitants, and his being, on that account, for a short time imprisoned, can, at most, be only supposed to have suggested the idea of making that province the scene of the first part of his romance. Some fortunate circumstance, which cannot be traced, seems to have impressed Cervantes, who was then in his fiftieth year, with the consciousness of the true bent of his genius. The commencement of Don Quixote was first published at Madrid, in 1606; but the enthusiastic reception which this original romance experienced from the Spanish public, produced very little change in the author's fortune; for the folly which felt itself disturbed in its security, united with envy in seeking to trace in the work allusions of an offensive kind. Cervantes accordingly continued poor, and had now to contend with exasperated enemies. Those enemies imagined they had completely defeated him, when an unknown writer of their own party, under the name of Avellaneda, published a continuation of Don Quixote, full of invective against the original author. Precisely at the period when this continuation appeared, Cervantes published the sequel of his instructive novels, which he dedicated to the count of Lemos. In that nobleman he found a protector who never withdrew his favour, and who, as it appears, afforded him support in various ways. Pecuniary necessity seems, however, to have urged him, as a last resource, to write for the stage. 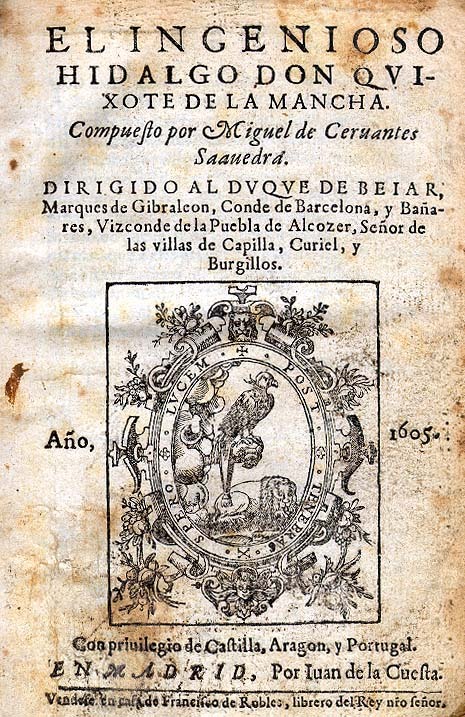 The latest works of Cervantes were the genuine con­tinuation and completion of Don Quixote, the Journey to Parnassus, which was first published in 1614, and finally the romance of Persiles and Sigismunda, for which a few days previous to his death, he he wrote a dedicataon to the count of Lemos. From various passages in the prefaces and introductions to these last works, it is obvious how highly Cervantes prized that celebrity which after many abortive efforts, he had at length obtained in his old age. But even where his vanity is not disguised, it is easy, from the candid tone in which he speaks of himself, to recognise the man of firm and upright spirit, the declared enemy of every sort of affectation, and the honest and liberal judge of himself and of others. He died in poverty, though not in extreme want, at Madrid, in 1616, in the sixty-ninth year of his age. He was buried privately, without any kind of distinction, and not even a common tombstone marks the spot where the ashes of Cervantes repose. Were we to arange the works of Cervantes according to their merits, the first place must be assigned to Don Quixote, which is moreover entitled to the supremacy, inasmuch as it is single in its kind. To enter into a description of the contents of this uni­versally known masterpiece, or to give a circumstantial analysis of its plan, would be equally superfluous. A few words, however, on the happy and original idea, which forms the foundation of the whole work, may here be introduced. It has often been said, though the opinion has, perhaps, not been fully weighed, nor even expressed with sufficient precision, that the venerable knight of La Mancha, is the immortal representative of all men of exalted imagination, who carry the noblest enthusiasm to a pitch of folly; because, with understanding in other respects sound, they are unable to resist the fascinating power of a self deception, by which they are induced to regard themselves as beings of a superior order. None but an experienced observer of mankind, endowed with profound judgment, and a genius to whose penetrating glance one of the most interesting recesses of the human heart had been newly disclosed, could have seized the idea of such a romance with energetic precision. None but a poet and a man of wit could have thrown so much poetic interest into the execution of that idea; and none but an author who had at his disposal all the richness and variety of one of the finest languages in the world, could have diffused over such a work that classical perfection of expression which gives the stamp of excellence to the whole. The originality of the idea of Don Quixote is not only historically demon­strated by no romance so a similar kind haying previously existed—for pictures of ingenious roguery, in the style of Lazarillo de Tormes, belong to a totally different species of comic romance—but it is also psychologically certain, that a creative fancy, which was only capable of continuing to invent where another had stopped, could not, with the boldness of Cervantes, have combined traits, apparently heterogeneous, in order thereby to exhaust to the utmost the idea by which he was inspired. Those who are ac­quainted with Don Quixote only through the medium of the common translations will not certainly be inclined to regard it as a work of inspiration, in the highest sense of the word. But it is impossible to form a more mistaken notion of this work, than to consider it merely as a satire intended by the author to ridicule the absurd passion for reading old romances of chivalry. Doubtless this is one of the objects which Cervantes bad in view; for among the romances which the Spanish public indefatigably perused, few were tolerable, and only one or two possessed first-rate merit. We must not, however, attribute to him the absurd conceit of wishing to prove the prejudicial in­fluence which the reading of bad romances produced on the taste of the Spanish nation, by exhibiting the indi­vidual folly of an enthusiast, who would have been just as likely to have lost his senses by the study of Plato or Aristotle, as by the reading of romances of chivalry. The merit and the richness of the idea of a man of elevated character, excited by heroic and enthusiastic feelings to the extravagant degree of wishing to restore the age of chivalry, must be regarded as the seed of inspiration whence the whole work originated. As a poet, Cervantes was aware of the resources, which this idea furnished; and he must also have been satisfied with his power to pro­secute it, as he has proved in the execution what he was capable of accomplishing. In the invention of a series of comic situations of the most burlesque kind, he found full scope for the exercise of his fancy. The painting of these situations afforded opportunities for the free and energetic development of his poetic talent. Finally, he knew how to combine the knowledge of human nature he had acquired during a life of' fifty years, with the most delicate satire, so as to render his comic romance also a book of moral in­struction, to which no parallel existed. These brief re­marks on the idea forming the foundation of the romance of Don Quixote, must be allowed to supply the place of a detailed analysis of the manner in which that celebrated work as composed. Other critics have sufficiently proved that the composition is by no means faultless. In the preface to the second part, Cervantes has himself pointed out some inadvertencies, which produce incongruities in the history, but he disdained to correct them, because he con­ceived that they had been too severely condemned. The character of the execution of this comic romance is no less original than the invention. Character in the strictest sense of the term is here meant. The superficial sketches of a sportive fancy, for which the Spaniards in the age of Cervantes entertained so high predilection, had not sufficient interest for him. He felt a passion for the vivid painting of character, as his successful works prove. Under the influence of this feeling, he drew the natural and striking portrait of his heroic Don Quixote, so truly noble-minded, and so enthusiastic an admirer of every thing good and great, yet having all those fine qualities, accidentally blended with a relative kind of madness; and he likewise portrayed with no less fidelity, the opposite character of Sancho Panza, a compound of grossness and simplicity, whose low selfishness leads him to place blind confidence in all the extravagant hopes and promises of his master... The subordinate characters of the great picture exhibit equal truth and decision; but the characteristic tone of the whole is still more remarkable. A translator cannot commit a more serious injury to Don Quixote, than to dress that work in a light, anecdotical style. A style perfectly unostentatious and free from affectation, but at the same time solemn, and penetrated, as it were, with the character of the hero, diffuses over this comic romance an imposing air, which, were it not so ap­propriate, would seem to belong exclusively to serious works and which is certainly difficult to be seized in a translation. But it is precisely this solemnity of language, which imparts a characteristic relief to the comic scenes. It is the genuine style of the old romances of chivalry, im­proved and applied in a totally original way; and only where the dialogue style occurs is each person found to speak as he might be expected to do, and in his own pe­culiar manner. But wherever Don Quixote himself harangues the language re-assumes the venerable tone of the romantic style; and various uncommon expressions of which the hero avails himself serve to complete the delusion of his covetous squire, to whom they are only half intelligible. This characteristic tone diffuses over the whole a poetic colouring, which distinguishes Don Quixote from all comic romances on the ordinary style; and that poetic colouring is moreover heightened by the judicious choice of episodes. The essential connexion of these episodes with the whole has sometimes escaped the observation of critics, who have regarded as merely parenthetical those parts in which Cervantes has most decidedly manifested the poetic spirit of his work. The novel of El Curioso Impertinente cannot indeed be ranked among the number of these essential episodes but the charming story of the shepherdess Marcella, the history of Dorothea, and the history of the rich Camacho and the poor Basilio, are un­questionably connected with the interest of the whole. These serious romantic parts, which are not, it is true, es­sential to the narrative connexion, but strictly belong to the characteristic dignity of the whole picture, also prove how far Cervantes was from the idea usually attributed to him of writing a book merely to excite laughter. The pas­sages, which common readers feel inclined to pass over, are, in general, precisely those in which Cervantes is most decidedly a poet, and for which he has manifested an evident predilection. On such occasions, he also introduces among his prose, episodical verses, for the most part excellent in their kind and no translator can omit them without doing violence to the spirit of the original. Were it not for the happy art with which Cervantes has contrived to preserve an intermediate tone between pure poetry and prose, Don Quixote would not deserve to be cited as the first classic model of the modern romance or novel. It is, however, fully entitled to that distinction. Cervantes was the first writer who formed the genuine romance of modern times on the model of the original chivalrous romance that equivocal creation of the genius and the barbarous taste of the middle ages. The result has proved that modern taste, however readily it may in other respects conform to the rules of the antique, never­theless requires, in the narration of fictitious events, a cer­tain union of poetry with prose, which was unknown to the Greeks and Romans in their best literary ages. It was only necessary to seize on the right tone, but that was a point of delicacy, which the inventors of romances of chi­valry were not able to comprehend. Diego de Mendoza, in his Lazarillo de Tormes, departed too far from poetry. Cervantes, in his Don Quixote restored to the poetic art the place it was entitled to hold in this class of writing; and he must not be blamed if cultivated nations have sub­sequently mistaken the true spirit of this work, because their own novelists had led them to regard common prose as the style peculiarly suited to romance composition. Don Quixote is, moreover, the undoubted prototype of the comic novel. The humorous situations are, it is true, al­most all burlesque, which was certainly not necessary, but the satire is frequently so delicate, that it escapes rather than obtrudes on unpractised attention; as for example, in the whole picture of the administration of Sancho Panza in his imaginary island. The language, even in the description of the most burlesque situations, never degene­rates into vulgarity; it is on the contrary, throughout the whole work, so noble, correct and highly polished, that it would not disgrace even an ancient classic of the first rank. This explanation of a part of the merits of a work, which has been so often wrongly judged, may perhaps seem belong rather to the eulogist than the calm and impartial historian. Let those who may he inclined to form this opinion study Don Quixote in the original language, and study it rightly, for it is not a book to be judged by a su­perficial perusal. But care must be taken lest the inter­vention of many subordinate traits, which were intended to have only a transient national interest, should produce an error in the estimate of the whole. It would be scarcely possible to arrange the other works of Cervantes according to a critical judgment of their im­portance; for the merits of some consist in the admirable finish of the whole, while others exhibit the impress of genius in the invention, or some other individual feature. A distinguished place must, however, be assigned to the Novelas Exemplares (Moral or Instructive Tales). They are unequal in merit as well as in character. Cervantes doubtless intended that they should be to the Spaniards nearly what the novels of Boccacio were to the Italians, some are mere anecdotes, some are romances in miniature, some are serious, some comic, and all are written in a light, smooth, conversational style. 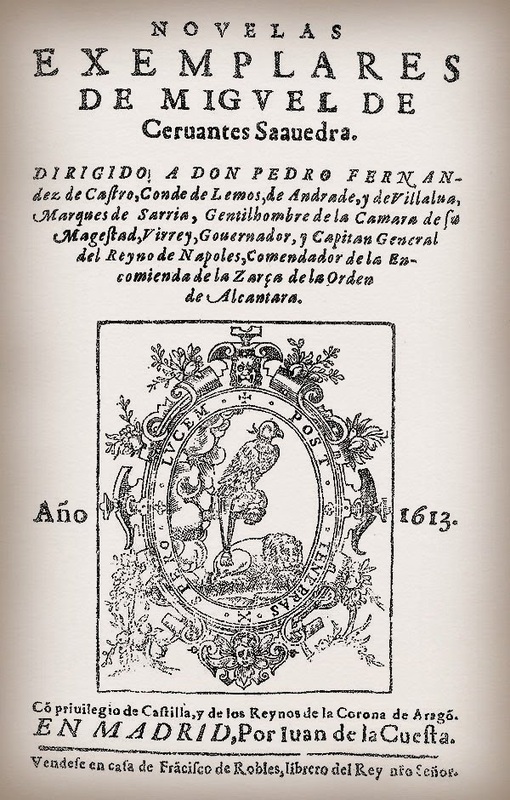 With regard to the practical knowledge, which these novels are intended to convey to the reader, Cervantes has affected more than Boecacio; and at all events he extended the literature of his country by their publication, for no similar composi­tions had previously existed in the Spanish language. In the Novelas Exemplares Cervantes has again proved himself the experienced judge of mankind, and has given, with admirable success, truly genuine and judicious, representa­tions of nature, in the various situations of real life. The reader must naturally feel inclined to pardon the want of plan which this little collection of novels occasionally ex­hibits, when he finds that the author, through the medium of his characters, relates and describes all that he had him­self seen and experienced under similar circumstances, particularly during his abode, in Italy and Africa. The history of the Licenciado Vidriera, which is the fifth in the collection, is totally destitute of plan, and is re­lated in simple prose like a common anecdote. But the novel of La Gritanilla, the Gipsey Girl is ingeniously conceived and poetically coloured; and the same may be said of some others. The story of Rinconete y Cortadilla, or Lurker and Cutter, as the names with reference to their etymology may be translated, is a comic romance in miniature. Galatea, the pastoral romance, which Cervantes wrote in his youth, is a happy imitation of the Diana of Montemayor, but exhibiting a still closer resemblance to Gil Polo's continuation of that poem. Next to Don Quixote and the Novelas Exemplares, his pastoral romance is particularly worthy of attention, as it manifests in a striking way the poetic direction in which the genius of Cervantes moved even at an early period of life, and from which he never entirely departed in his subsequent writings. As, however, the Galatea possesses but little originality, it constantly excites the recollection of its models, and particularly of the Diana of Gil Polo. Of the invention of the fable, likewise, but little can be said, for though the story is continued through six books, it is still incomplete. In composing this pastoral romance, Cervantes seems to have had no other object than to clothe in the popular garb of a tale, a rich collection of poems in the old, Spanish and Italian styles, which he could not have presented to the public under a more agreeable form. The story is merely the thread, which holds the beautiful garland together; for the poems are the portion of the work most particularly deserving attention. They are as numerous as they are various: and should the title of Cervantes to rank among the most eminent poets, whether in reference to verse or to prose, or should his originality in versified composition be called in question, an attentive perusal of the romance of Galatea must vanish every doubt of these points. It was remarked by the contemporaries of Cervantes that he was incapable of writing poetry, and that he could compose only beautiful prose; but that observation referred solely to his dramatic works. Every critic sufficiently acquainted with his lyrical compositions has rendered justice to their merit. From the romance of Galatea, it is obvious that Cervantes composed in all the various kinds of syllabic measure, which were used in his time. He even occasionally adopted the old dactylic stanza. 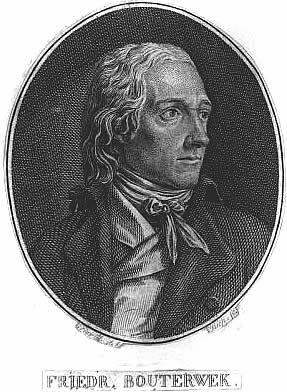 He appears to have experienced some difficulty in the metrical form of the sonnet, and his essays in that style are by no means numerous; but his poems in Italian octaves display the utmost facility; and among the number, the song of Caliope, in the last book of the Galatea, is remarkable for graceful ease of versification. In the same manner as Gil Polo in his Diana makes the river Turia pronounce the praises of the celebrated Valencians, the poetic fancy of Cervantes summoned the muse Calliope before the shepherds and shepherdesses, to render solemn homage to those contemporaries whom he esteemed worthy of distinction as poets. But the critic can scarcely venture to place reliance on praises dealt out with such profuse liberality. The most beautiful poems in the Galatea are a few in the cancion style, some of which are iambics, and some in trochaic or Old Spanish verse. Cervantes has here and there indulged in those antiquated and fantastic plays pf wit, which at a subsequent period he him­self ridiculed. The prose of the Galatea, which is in other respects so beautiful, is also occasionally overloaded with epithet. Cervantes displays a totally different kind of poetic talent in the Viage al Parnaso (Journey to Parnassus), a work which cannot properly be ranked in any particular class of literary composition, but which, next to Don Quixote, is the most exquisite production of its extraordinary author. The chief object of the poem is to satirize the false pre­tenders to the honours of the Spanish. Parnassus, who lived in the age of the writer. But this satire is of a pe­culiar character: it is a most happy effusion of sportive humour, and yet it remains a matter of doubt whether Cervantes intended to praise or to ridicule the individuals whom he points out as being particularly worthy of the favour of Apollo. He himself says -"Those whose names do not appear in this list may be just as well pleased as those who are mentioned in it." To characterise true poetry according to his own poetic feelings, to manifest in a decided way his enthusiasm for the art even in his old age, and to hold up a mirror for the conviction of those who were only capable of making rhymes and inventing extravagances, seem to have been the objects which Cer­vantes had principally in view when he composed this satirical poem. Concealed satire, open jesting, and ardent enthusiasm for the beautiful, are the boldly combined elements of this noble work. It is divided into eight chap­ters, and the versification is in tercets. The composition is half comic and half serious. After many humorous in­cidents, Mercury appears to Cervantes, who is represented as travelling to Parnassus in the most miserable condition; and the god salutes him with the title of the "Adam of poets." Mercury, after addressing to him many flattering compliments, conducts him to a ship entirely built of dif­ferent kinds of verse, and which is intended to convey a cargo of Spanish poets to the kingdom of Apollo. The description of the ship is an admirable comic allegory. Mercury shows him a list of the poets with whom Apollo wishes to become acquainted and this list, owing to the problematic nature of its half ironical and half serious praises, has proved a stumbling block to commentators. In the midst of the reading, Cervantes suddenly drops the list. The poets are now described as crowding on board the ship in numbers as countless as drops of rain in a shower, or grains of sand on the seacoast; and such a tumult ensues, that, to save the ship from sinking by their pressure, the sirens raise a furious storm. The flights of imagination become more wild as the story advances. Thy storm subsides, and is succeeded by a shower of poets, that is to say poets fall from the clouds. One of the first who descends on the ship is Lope de Vega, on whom Cer­vantes seizes this opportunity of pronouncing an emphatic eulogium. The remainder of the poem, a complete ana­lysis of which would occupy too much space, proceeds in the same spirit. One of the most beautiful pieces of verse ever written by Cervantes, is his description of the goddess Poesy, whom he sees in all her glory in the kingdom of Apollo. To this fine picture the portrait of the goddess Vain-Glory, who afterwards appears to the author in a dream, forms an excellent companion. Among the passages, which for burlesque humour vie with Don Quixote is the description of a second storm, in which Neptune vainly endeavours to plunge the poetasters to the bottom of the deep. Venus prevents them from sinking, by changing them into gourds and leather flasks. At length a formal battle is fought between the real poets and some of the poetasters. The poem is throughout interspersed with singularly witty and beautiful ideas; and only a very few passages can be charged with feebleness or languor. It has never been equalled, far less surpassed by any similar work, and it had no prototype. The language is classical throughout; and it is only to be regretted that Cervantes has added to the poem a comic supplement in prose, in which he indulges a little too freely in self-praise. The dramatic compositions of Cervantes, were they all extant, would be the most voluminous, though certainly not the best portion of his works. Possibly those which are now lost may yet be recovered; for a fortunate accident brought to light two dramas which had remained concealed in manuscript till near the end of the eighteenth century. Cervantes includes some of his dramas among those productions with which he was himself most satisfied; and he seems to have regarded them with the greater self-complacency in proportion as they experienced the neglect of the public. This conduct has sometimes been attri­buted to a spirit of contradiction, and sometimes to vanity. 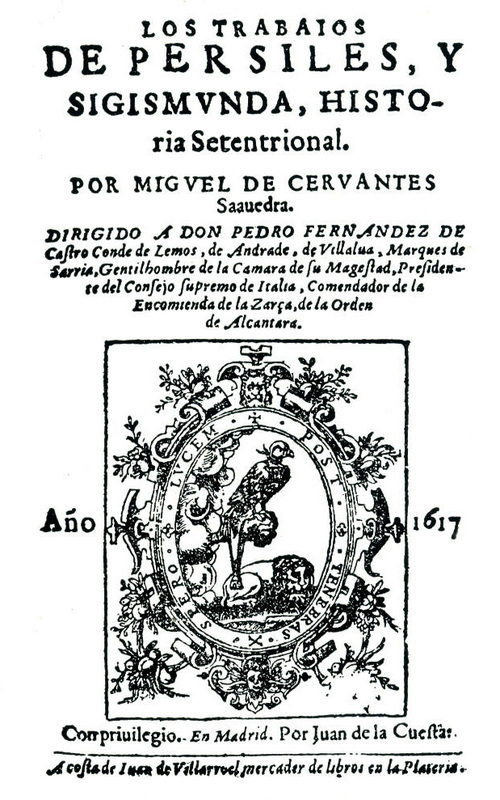 The editor of the eight plays (chiefly heroic) and eight interludes, which were the last dramatic productions of the author, has adopted the absurd notion that Cervantes, in writing these pieces, intended to parody and ridicule the style of Lope de Vega; which is merely saying that he attacked the whole literary public of Spain in the most discourteous way. No traces of parody appear in any of those dramas. They are, however, with the exception of a few successful scenes, so dull and tedious, that one might be inclined to regard them as counterfeit productions by another author, were it not that their authenticity seems to be sufficiently proved. The little interludes alone ex­hibit burlesque humour and dramatic spirit. That the penetrating and profound Cervantes should have so mis­taken the limits of his dramatic talent, would not be suffi­ciently accounted for, had he not unquestionably proved by his tragedy of Numantia how pardonable was the self-deception of which he could not divest himself. Cervantes was entitled to consider himself endowed with a genius for dramatic poetry; but he could not preserve his inde­pendence in the conflict he had to maintain with the con­ditions required by the Spanish public in dramatic composition; and when he sacrificed his independence, and submitted to rules imposed by others, his invention and language were reduced to the level of a poet of inferior talent. The intrigues, adventures and surprises, which in that age characterized the Spanish drama, were ill suited to the genius of Cervantes. His natural style was too profound and precise to be reconciled to fantastical ideas, expressed in irregular verse. But he was Spaniard enough to be gratified with dramas, which, as a poet, he could not imitate; and he imagined himself capable of imitating them, because he would have shone in another species of dramatic composition, had the public taste accommodated itself to his genius. With all its imperfections and faults, Cervantes' tragedy of Numantia is a noble production, and, like Don Quixote it is unparalleled in the class of literature to which it belongs. It proves that under different circumstances, the author of Don Quixote might have been the Aeschylus of Spain. The conception is in the style of the boldest pathos, and the execution, at least taken as a whole, is vigorous and dignified. The ancient Roman History from which Cer­vantes selected the story of the destruction of Numantia, afforded but few positive facts of which he could avail himself. He therefore invented along with the subject of his piece a peculiar style of tragic composition, in doing which he did not pay much regard to the theory of Aristotle. His object was to produce a piece full of tragic situations, combined with the charm of the marvellous. The tragedy is written in conformity with no rules save those which the author prescribed to himself; for he felt no inclination to imitate the Greek forms. The play is divided into four acts, (jornadas,) and no chorus is introduced. The dialogue is sometimes in tercets and some­times in redondillas, and for the most part in octaves without any regard to rule. The diction does not main­tain equal dignity throughout; but it is in no instance affected or bombastic. Cervantes has evinced admirable skill in gradually heightening the tragic interest to the close of the piece. The commencement is, however, some­what cold and tedious. Scipio appears with his generals in the Roman camp before Numantia. In a speech, which might have been improved by abridgment, he reprimands his troops, whose spirit has begun to be superseded by effeminacy. The soldiers are re-inspired with courage. Numantian ambassadors enter with proposals for peace, which are rejected. It is here that the tragedy properly begins. Spain appears, an allegorical character, and she summons the river Duero, or Durius, on whose banks Numantia stands. The old river god appears, attended by a retinue of the deities of the smaller rivers of the surrounding country. These ideal characters consult the book of fate, and discover that Numantia cannot be saved. What may be said against the bold idea of endeavour­ing to augment the tragic pathos by means of allegorical characters, it must be acknowledged that in this case the result of the experiment is not altogether unsuccessful, and Cervantes justly prides himself in the novelty of the idea. The scene is now transferred to Numantia. The senate is assembled to deliberate on the affairs of the city, and among the members the character of Theagenes shines with conspicuous lustre. Bold resolutions are adopted by the senate. The transition into light redondillas for the purpose of interweaving with the serious business of the fable, the loves of a young Numantian, named Morandro, and his mistress, is certainly a fault in the composition of the tragedy. But to this fault we are indebted for some of the finest scenes in the following act. A solemn sacri­fice is prepared; but amidst the ceremony an evil spirit appears, seizes the victim, and extinguishes the fire. The confusion in the town increases. A dead man is resuscitated by magic, and the scene in which this incident occurs has a most imposing effect. All hope has now vanished. After the return of a second unsuccessful embassy, the Numantians, by the advice of Theagenes, resolve to burn all their valuable property, then to put their wives and children to death, and lastly, to throw themselves into the flames, lest any of the inhabitants of the town should become the slaves of the Romans. Scenes of the most heartrending domestic misery, and the noblest traits of patriotism, then ensue. Famine rages in Numantia. Morandro, accompanied by one of his friends, ventures to enter the Roman camp. He returns with a piece of bread smeared with blood, and, presenting it to his mistress, falls at her feet mortally wounded. The action proceeds with unabated interest to the end. An allegorical character of Fame enters at the end of the piece, and announces the future glory of Spain. Allegorical characters, for instance, Necessity and Opportunity, likewise appear in Cervantes' comedy, El Trato de Argel (Life in Algiers, or Manners in Algiers). But their introduction amongst scenes of common life injures the story, which is besides by no means ingenious, and imparts a cold and whimsical character to the piece. This comedy, however, which is divided into five acts, is not destitute of interest and spirit. The romance of Persiles and Sigismunda, which Cervantes finished shortly before his death, must be regarded as an interesting appendix to his other works. The language and the whole composition of the story exhibit the purest simplicity, combined with singular precision and polish. The idea of this romance was not new, and scarcely deserved to be reproduced in a new manner. But it appears that Cervantes, at the close of his glorious career, took a fancy to imitate Heliodorus. He has maintained the interest of the situations, but the whole work is merely a romantic description of travels, rich enough in fearful adventures, both by sea and land. Real and fabulous geography and history are mixed together in an absurd and monstrous manner; and the second half of the romance, in which the scene is transferred to Spain and Italy, does not exactly harmonize with the spirit of the first half. If we cast a glance on the collected works of Cervantes, in order to ascertain what their author was entitled to claim as his original property, independently of his contemporaries and predecessors, we shall find that the genius of that poet, who is in general only partially estimated, shines with the finer lustre the longer it is contemplated. That kind of criticism that is to be learned, contributed but little to the development and formation of his genius. A critical tact, which is a truer guide than any rule, but which abandons genius when it forgets itself, secured the fancy of Cervantes against the aberrations of common minds, and his sportive wit was always subject to the control of solid judgement. The vanity, which occasionally made him mistake the true bent of his talent, must be confessed to have been pardonable, considering how little he was known to his contemporaries. He did not even know himself, though he felt the consciousness of his genius. From the mental height to which he had raised himself, he might, without too highly rating his own abilities, look down on all the writers of his age. More than one poet of great, of immortal genius, might be placed beside him in his own country; but of all the Spanish poets, Cervantes alone belongs to the whole world.